Initiated by DhK and with funds from the German Academic Exchange Service (DAAD) a Bachelor programme of Spatial Planning was introduced at the University of Duhok in cooperation with the Technische Universität Dortmund. The village development center in the village Qumri in the district Berwari Bala is located approximately at the center of the 64 villages that were reconstructed with the help of DhK. 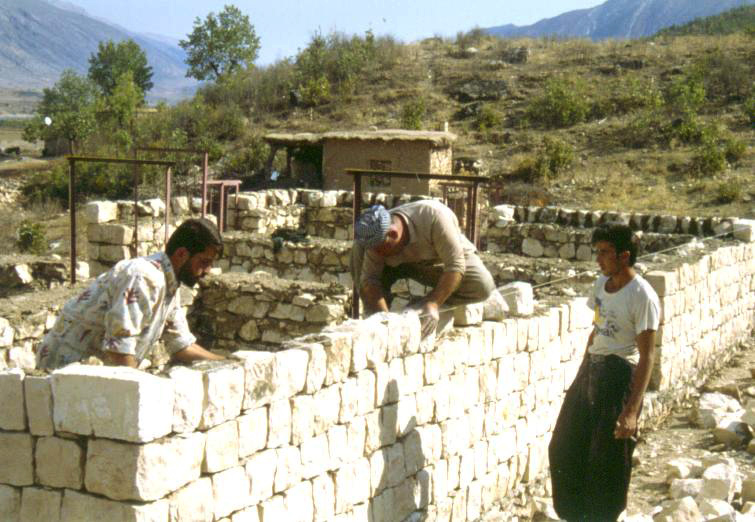 It was built with funds from the German Federal Ministry for Economic Cooperation and Development and with support of the Kurdish regional government. It was inaugurated in 2011. Since 2016 DhK has been supporting displaced Yazidi students. In the academic year 2018/19 30 students of the University of Mosul and 20 students of the University of Duhok were thus supported. After July 2014 half a million people fled to Northern Iraq seeking a life in security and support. To this crisis DhK responded with a call for support to its members and friends and was able to provide the urgently needed help after only few weeks.